AL-56FL is an ideal tool which shows the indication of live voltage even with blown fuse. 2 replaceable fast-acting fuses are built-in. The specs of the fuses are 1000V, 11A with internal rating of 20kA AC/DC. Help to prevent a possible mis-indication when there is voltage present. CAT III 1000V, CAT IV 600V, 10A with protective cover. 2mm probe tips, removable 4mm brass caged banana probe tips are also included. 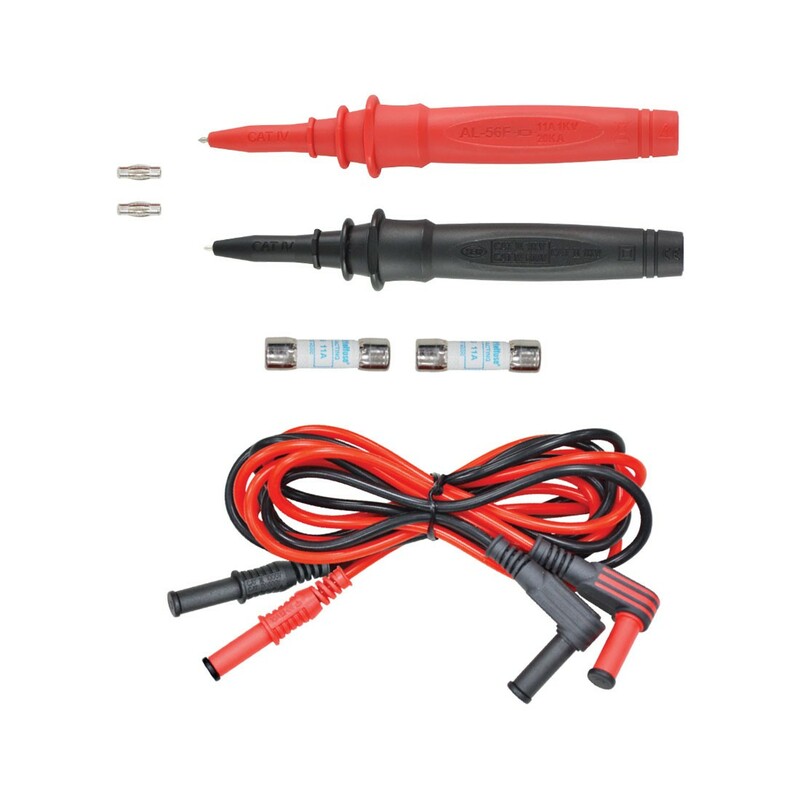 Include High-quality silicone test leads, 1.5 meter long. Wipe the fused test probes and silicone test leads periodically with a damp cloth and detergent. Do not use abrasives or solvents. Operating temperature: -20 °C to +50 °C (-5 °F to 120 °F). Can't be used on current mode with blown fuse.